Once you hear Focal's Clear, you won't be able to go back to your old headphones. The French audio maker Focal has done it again. Clear, Focal’s newest reference headphones, are one of the best I have ever reviewed. It's a superior product for the discerning music lover who demands the finest musical reproduction possible. An over-the-ear (circumaural), open-back design, Clear creates a spacious, enveloping soundscape that must be heard to be believed. When I first wore them, I noted there was almost no barrier between me and the outside world. 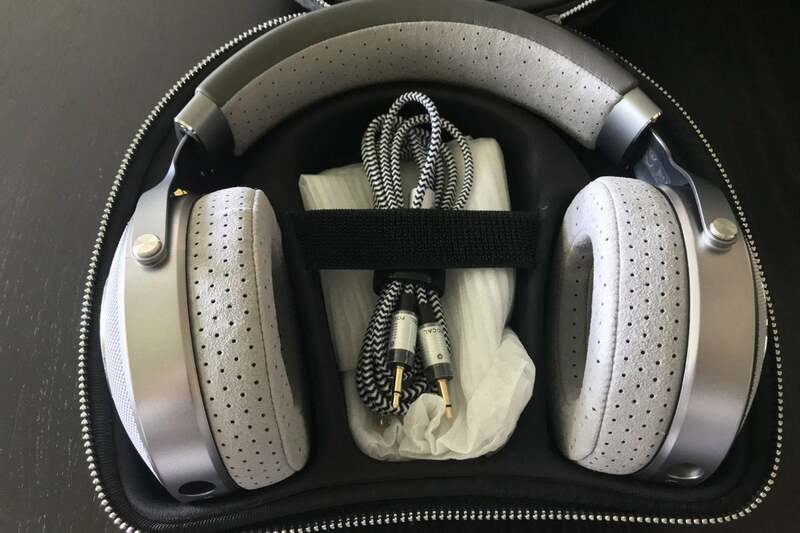 I went back and forth between Clear and Oppo's PM-2 open-back planar magnetic headphones several times as a point of reference. The Focal Clear displayed a superior sensation of openness every time. Mesh around the back of the Focal Clear ear cups leave you completely open to your surroundings. Such a design is a two-edged sword to be sure. Listening in environments with outside noise or a high noise floor will be challenging. And don’t bring these headphones to the library. Anyone next to you at a reasonable distance will easily hear what you’re listening to. 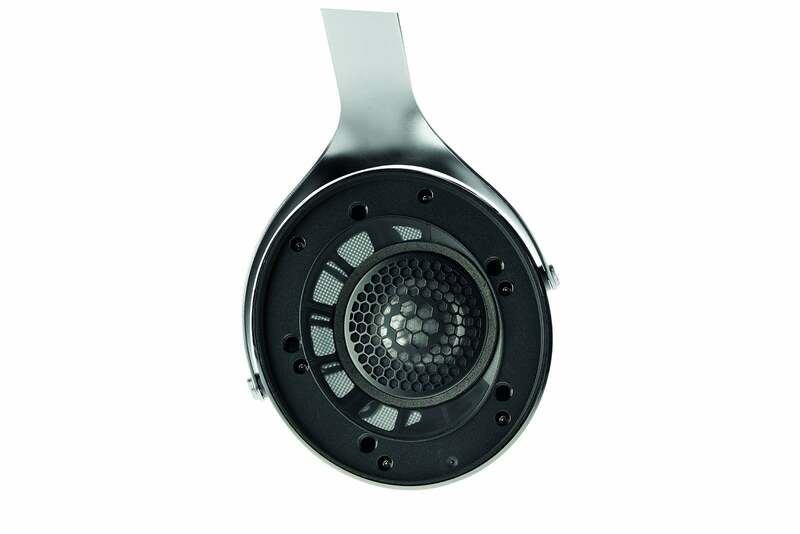 The Focal Clear feature an M-shaped, inverted-dome, full-range driver measuring 40mm. 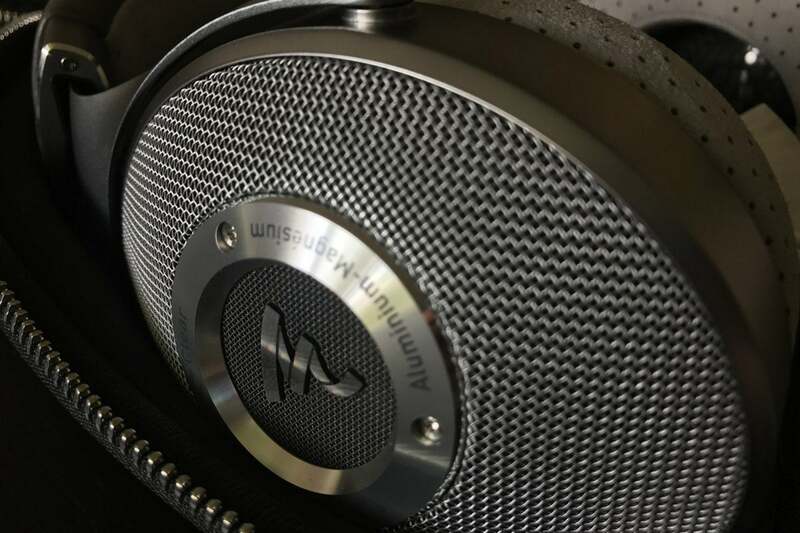 Composed of an aluminum/magnesium alloy, the driver is capable of reproducing frequencies from 5Hz to 28kHz—well beyond the range of human hearing. I found that Clear delivered a superb response across the entire frequency range. The only possible place where the SPL levels came up a bit short might be in infrasonic frequencies below 20Hz—and even then I'm nitpicking. A new production line specifically for Clear in Saint-Etienne, France develops the headphone's lightweight components. 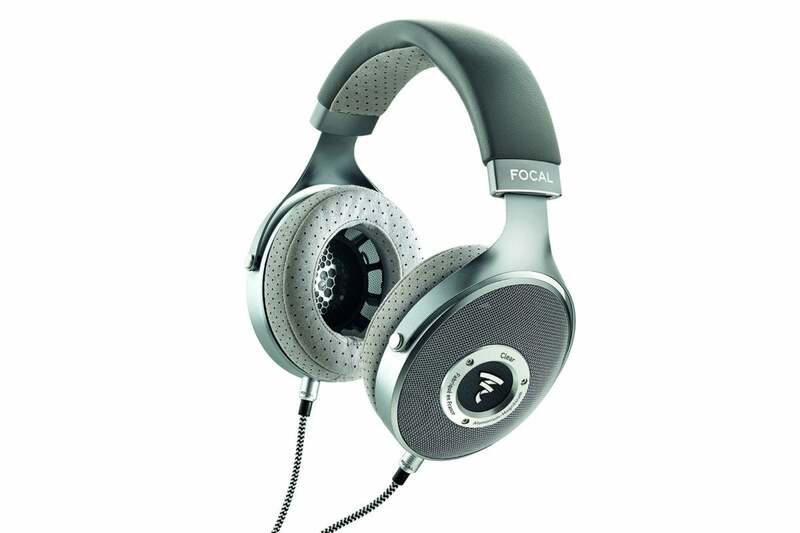 Focal claims that each pair of Clear headphones features an identical frequency response curve of +/-0.5dB. Detail of the Focal Clear's open back ear cup. 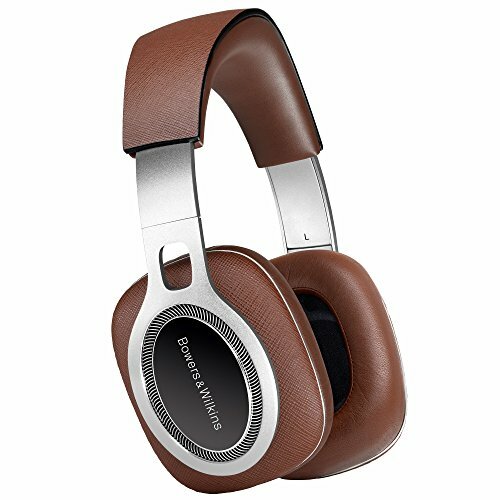 Like the Bowers & Wilkins P9 Signature headphones I reviewed last year, the Clear's drivers are situated toward the front—not the side. This driver design, also common to Focal’s Utopia and Elear headphones, creates a solid soundstage in front of you, similar to traditional loudspeakers. I much prefer headphones featuring this driver orientation. Clear’s fit is outstanding. It’s uncanny how light and relatively pressure-free these headphones feel given their size and 450-gram weight. That pressure-free feel is by design. The aluminum yoke has unique elements contributing to their comfort, including asymmetrical attachment points. Focal points out that the headband’s bend remains constant regardless of a person’s head size. 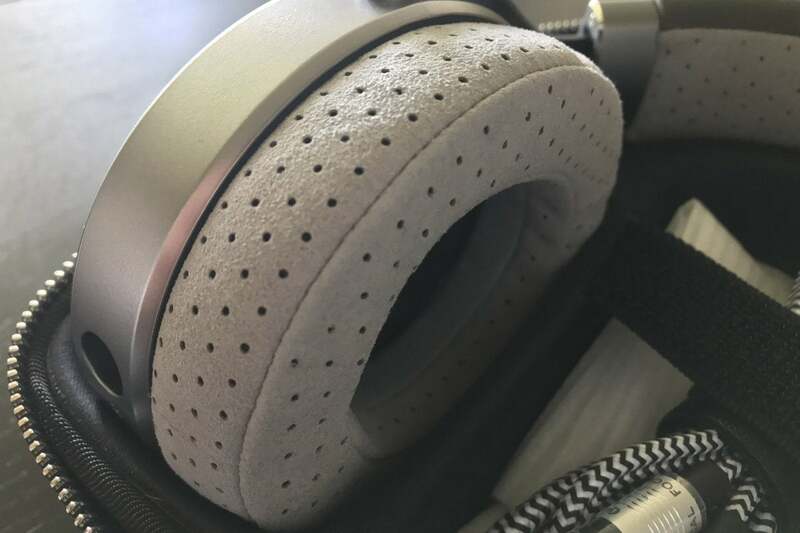 This design spreads out the weight of the headphone evenly, preventing too much pressure on the ears or head. 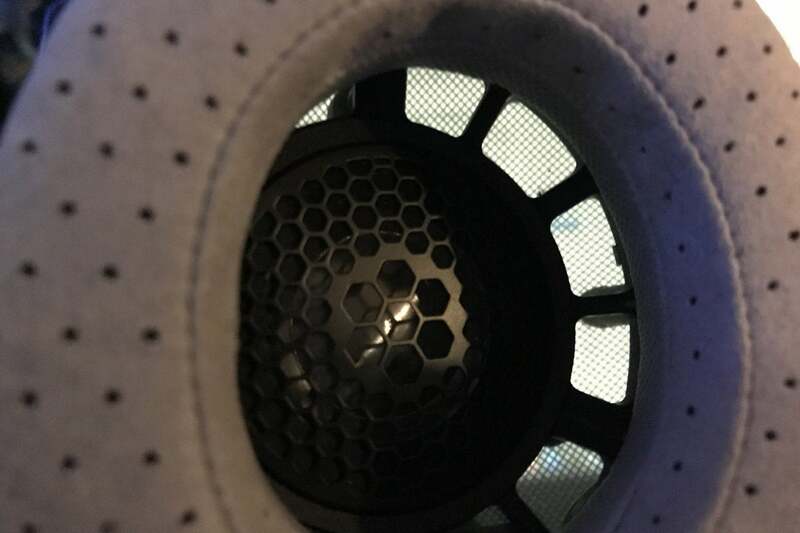 Detail of Clear's full-range driver, with the ear pad removed. The top of the headband is wrapped in gray leather with a microfiber underside. 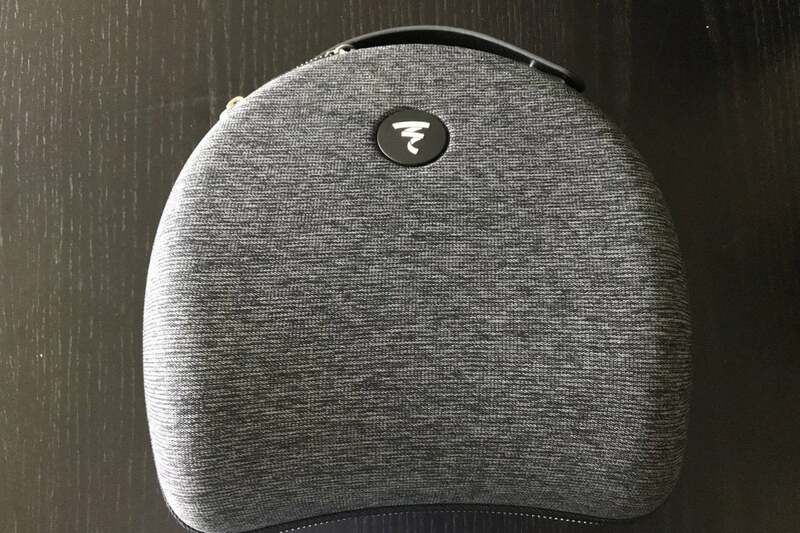 The memory foam ear pads are covered in the same soft microfiber. The microfiber has 1mm perforations. The perforated ear pads, coupled by the open-back design, never made my ears hot or sweaty—even after hours and hours of wearing them. Focal bundles equally high-end accessories with the Clear, including a luxurious hard-shell carrying case. A molded interior cavity fits the headphones perfectly. Between the two ear cup molds, you’ll find a generous space capable of holding any of the three thickly braided cable options. Focal has you covered whether you want to use the Clear with a high-end headphone amp or your favorite portable digital audio player. A 1.2-meter unbalanced cable sports a 3.5mm tip. The two other cables are three meters in length and come in a black box with magnetic flaps. One cable has a balanced (XLR 4-pin) connector, and the other has an unbalanced (1/4-inch) end. Unfortunately, there's no 2.5mm balanced cable option. 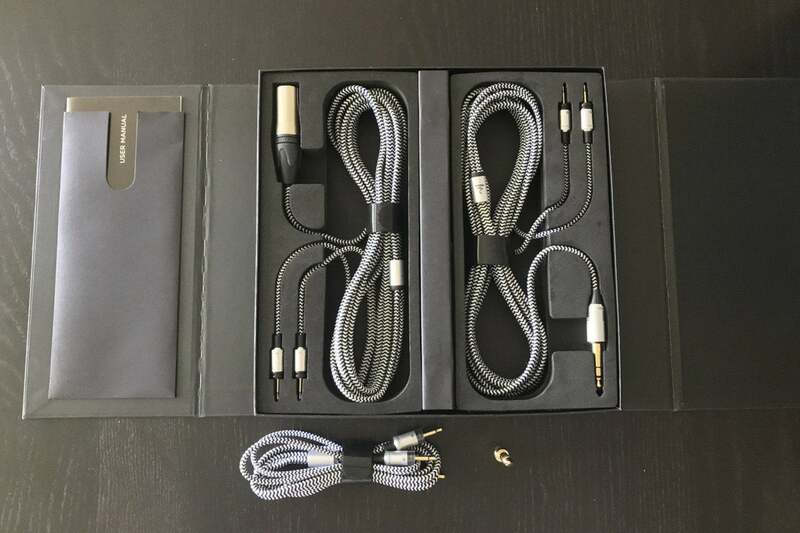 Focal told me buyers could look to third-party cable manufacturers for that. 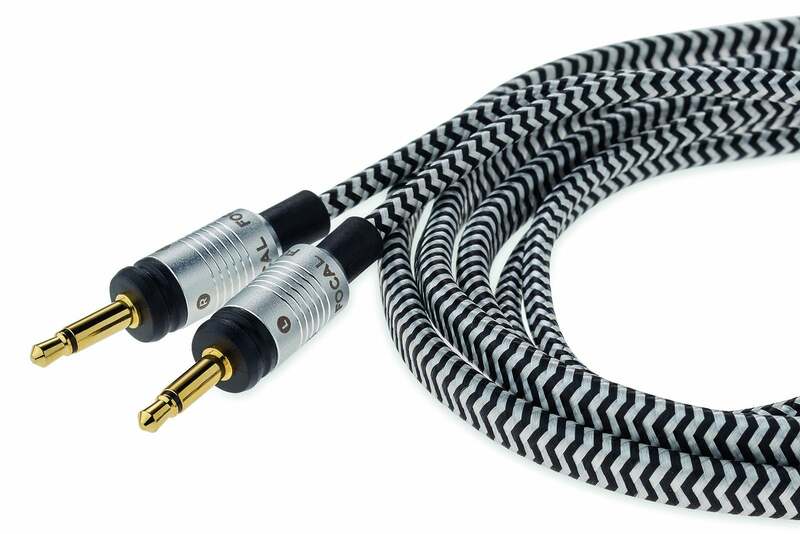 The included braided nylon headphone cables are luxurious. Due to their high impedance, some high-end headphones sound best or even require a dedicated headphone amplifier. Sennheiser's superb HD800S headphones ($1,700), for example, present an impedance of 300 Ohms. Headphones like this won’t play nicely with your average smart device. That’s not the case with Clear. With an impedance of 55 Ohms and a sensitivity of 104dB, you can drive them with just about any smart device or DAP. I had no problem using the Focal Clear headphones with an iPhone 7, an Astell&Kern AK70, or a Sony NWZ-A17. The Clear's case fits the headphones perfectly, with ample room for any of the included cable accessories to come along for the ride. The Clear aren't equipped with Bluetooth or an inline mic, but their low impedance will come in handy if you want to connect them to a high-resolution wireless adapter, such as Astell&Kern’s AK XB10. What does Focal's Utopia have that its Clear doesn't? Clear isn't Focal's top-shelf product. That distinction belongs to the $4,000 Utopia. But the Clear bear a strong resemblance to the Utopia. The mechanical design of the two headphones is the same, but the materials and finishes differ: Utopia uses a pure Beryllium dome, a different magnet, and a different voice coil. A magnetic case holds a balanced cable with an XLR connector and unbalanced cable with a 1/4-inch connector. I paired the Focal Clear with Anthem’s AVM 60 pre-pro, Astell&Kern’s AK70 and Sony’s NWZ-A17 DAPs, and an iPhone 7. I listened to a myriad of artists, albums, and songs in a variety of high-res and streaming formats. I focused intently, however, on high-res FLAC and ALAC material from B&W’s Society of Sound, Chesky Records, and other sources. From the first note, I was absolutely floored by the Clear’s performance. The sound is lush and inviting, with a beautiful midrange and a delicate, airy top end. The Clear’s musical reproduction is so pristine and distortion free that these cans will seduce you into playing your music loudly. I fired up Lorde’s “Royals”, Holly Cole's, "I Can See Clearly Now," Rebecca Pidgeon's "Spanish Harlem," Alanis Morissette’s “Woman Down,” Robert Plant and Alison Krauss' "Please Read the Letter," and Hans Zimmer's "Imagine the Fire," from the Dark Knight Rises soundtrack for a start. Bass lines and transient response were the best resolved I’ve ever heard from a pair of headphones. Subterranean notes started and stopped on a dime. Clear's intense, blacksmith-like impact with iron-clad control must be heard to be fully appreciated. I couldn’t stop there. 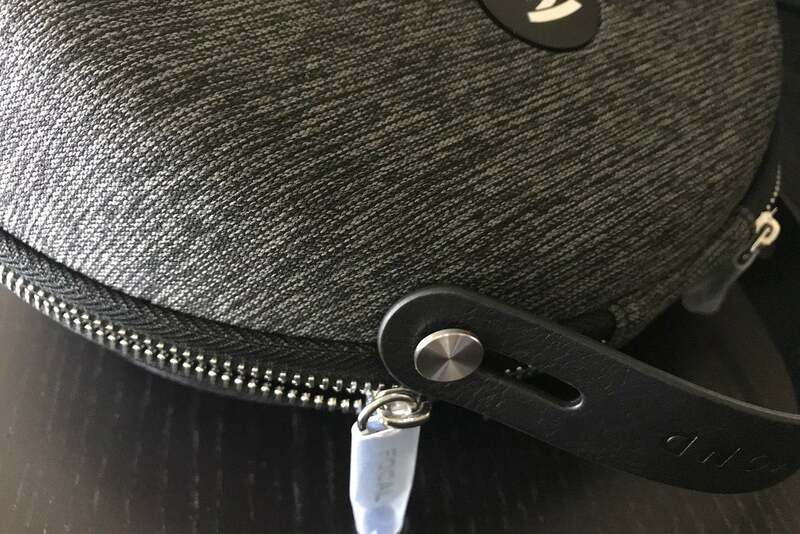 The included case has a beautiful cloth exterior. Focal's Clear was the undisputed maestro of Saint-Saëns Symphony No. 3, articulating deep, infrasonic, and rich organ notes with ease. The very texture of the bass drum's membrane from Aaron Copeland's "Fanfare for the Common Man" was easy to make out without any loss in impact or dynamics. All this elevated my emotional involvement and heightened my attention to the music. The Focal Clear delivered the most intense, dynamic, and detailed presentation of Sarah McLachlan’s Bloom remix album that I’ve ever heard in a headphone. To give you an analogy, it was like the experience when you remove haze from a window, or walk out a screen door and you're now able to see and hear without any barrier. Clear’s uncanny ability to exert its sheer will on any musical track or genre was best observed on McLachlan's "Ice," "Vox," and "Falling Towards Ecstasy" remixes. Complex musical layers snapped into focus. I discerned new details and nuances in "Fumbling Towards Ecstasy" that I’ve never noticed in the hundreds of times I’ve played this song across systems. Bass was unfettered—completely unleashed—yet fired with precision. Think of the difference between the sound of your average car engine and the smooth purr of a Ferrari or Lamborghini. That's the leap in refinement Clear delivered. Clear excels at reproducing a recording’s spacial characteristics. Spacious recordings have a relaxed presentation with a deep,and wide soundstage that's beyond what you'd expect from a headphone. Intimate recordings, like Tony Bennett’s and Lady Gaga’s "Lush Life," from Cheek to Cheek are appropriately forward and warm, as though you're listening to a closed-back design. The memory-foam ear cups are soft and breathable. If you still have MP3 files in your musical collection, get ready to trash them all. The Focal Clear is so revealing that it's brutally unforgiving. It will lay naked any bad or compressed recordings you have in your collection. I found myself becoming impatient if a track couldn’t live up to Clear’s penchant for perfection. I directly compared the 24-bit/192kHZ FLAC and 16-bit/44.1kHz AAC encoded versions of Star Wars: The Force Awakens soundtrack from my music server, and was startled at how strikingly pristine and detailed the high-res version came through compared to the AAC version via the AVM 60/Focal Clear combo. A headphone with Clear's capabilities lets you hear the tonal character of the electronics behind it. If you're the type who prefers a warmer musical presentation, you should consider pairing Clear with a tube-based headphone amp or a DAP like Questyle's intoxicating QP1R. The case's integrated handle slides up when in use. Focal’s Clear open-back headphones are an astounding sonic achievement. 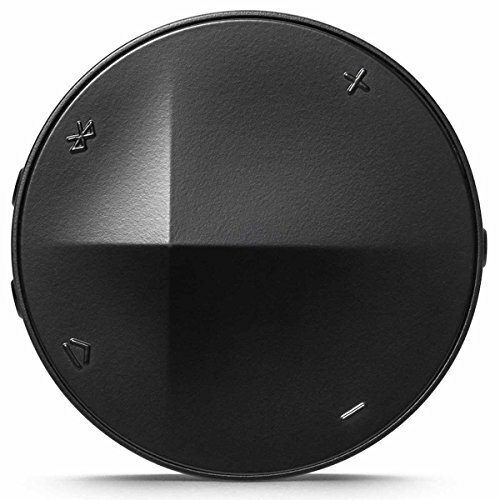 Its name says what it does: It empowers you to hear your music clearly, without any barrier. But be warned! Auditioning Focal’s Clear headphones is like choosing the red pill from The Matrix. Once you listen to their openness, dynamics, and transparency, and timbral accuracy, you just can’t go back to other headphones. Clear will change your view of what you thought was possible with headphone audio. Yes, $1,499 is a lot of money for a pair of headphones. But the emotional involvement and sonic revelations you’ll uncover listening to your favorite music through these headphones will be worth it. You'll hear your musical collection like the first time. I’ve had the pleasure of auditioning lots of high-end audio gear over the years. Focal’s Clear ranks right up there with the most memorable. These are the finest headphones you’ll find priced less than $2,000. They have earned my highest recommendation.